Desert Queen is a slow but interesting read. 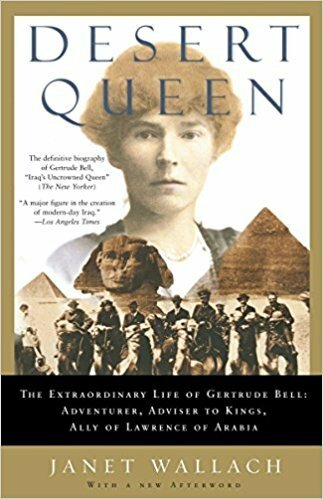 I knew nothing about Gertrude Bell until I picked up this book, and now I am very glad I know about her. She was a very independent woman that helped the shape the Middle East. This book teaches a ton about history. It focuses on the Middle East (Iraq, Egypt, Syria, and such), but covers some of England’s, India’s, and other areas history. It also talked a little bit about WWI, which I always find fascinating because there is so little about it. I think if you want to learn about odd history facts that this is a great book for you. I would say that it is a slower read, but I found it easy to pick up and put down because of all the breaks in it. But I did get a lot of people mixed, there were so many names.